My visual culture debates presentation was on how typography is evolving in a digital era from pixillation to vector lettering. I found this quite interesting, as while research I learnt how the quality of typography has evolved and how digimodernism and social media has an impact on typography through using sans serif typefaces to make it more legible and modern. I also looked at the theory of onwardness in web texts and how web texts never conclude but books end. This suggests writing is outdated but some people cannot type. I found this quite interesting that I could explore further. I am more interested in the spoken word shown visually. The shape of typography reinforces the poem’s theme in some way. Having researched concrete poetry, I think it is do with how designers express typography through sound, rhythm and repetition of poetry. I also think its do with how the scale of letterforms or words are designed depending on volume of sounds. Typography in pure concrete poetry is always structural and not mimetic. 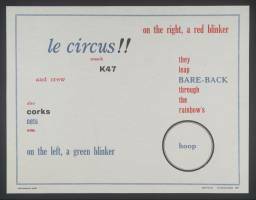 Ian Hamilton Finlay was a poet and typographer who created visual poetry using typographic arrangement (Bierut et al, 1999). Weight of the words shows the volume of sounds. These theories help to understand the written word as a visual form. I am interested in the spoken word shown visual way. I have found the theory semiotics will help me to research further in my practice to see how words are shown and represented in different ways. Words can be associated by signifier and signified. Signifier -sound of the word, the sign and arrangement of the words. From this module, I have learnt a lot on theories and how theories will help me to advance my practice.